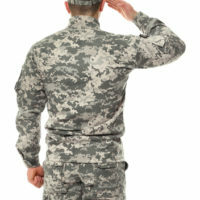 Most veterans are aware of the health care benefits they are entitled to receive once they are no longer in active duty. What they might not know is that there are many other benefits and programs available to them. Many veterans struggle with medical and financial difficulties following their return home from war. Some end up losing their home because they can’t find decent employment once they return to civilian life, but that doesn’t have to be the case. If you or someone you love is a veteran, it’s important to know about the VA benefits available to them. These benefits are not publicized, but they are very helpful and can aid a veteran’s daily life in so many ways. Read on to learn more about these valuable benefits and see if you qualify. The biggest monthly bill for most families is the mortgage bill. The mortgage can be difficult to pay at times, but veterans can get repayment assistance through the Department of Veterans Affairs. There are programs available that offer loan modifications, loan forbearance and special repayment plans. If you bought your home with a VA loan, you may qualify for additional benefits as well. If a home mortgaged with a VA loan goes into foreclosure, the VA allows veterans to purchase these homes for a discount. The homes all qualify for VA financing. If your goal is to expand your education, but you don’t necessarily want to enroll in college, the GI Bill offers up to $2,000 to pay for vocational training or certification courses. This is a good option for those who want to pursue a career that requires little education. This program helps veterans get back into the workforce after returning to civilian life. American Corporate Partners connects veterans to job opportunities with top companies as well as career development and mentoring services. Forget paying hundreds of dollars to H&R Block or having to spends hours online with TurboTax. You can get your taxes done for free through Volunteer Income Tax Assistance. These offices are found on military bases and the employees have experience with military-related tax issues. Contact the Law Office of Michael Lawrence Varon in White Plains to learn more about the VA benefits you are entitled to receive and how to go about getting them. We are eager to begin assisting you today.